Nowadays, Rial falls against major currencies like USD, Euro and GBP. 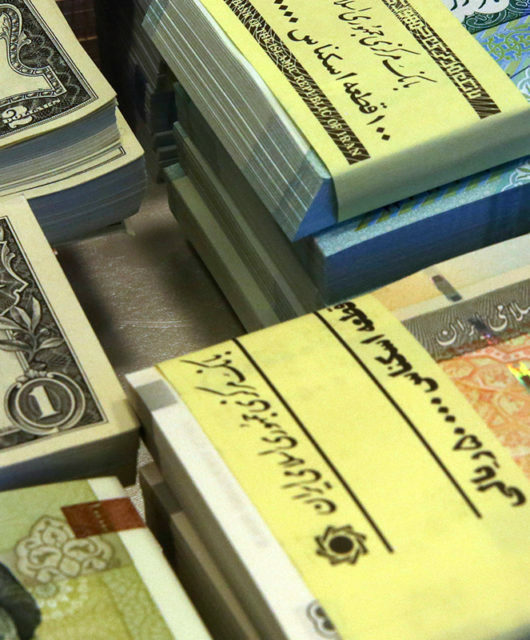 This decline began when Central Bank of Iran(CBI), has decided to decrease the interest rate on deposits in September and as a result, deposit accounts were no longer an attractive investment opportunity for people. On the other hand, the huge liquidity has been tripled in last five years and this liquidity flooded to parallel markets such as foreign currency market. Some investors would prefer to invest in Dollar, and as a result the demand for Dollar would increase and it would lead to over demand situation in the market. 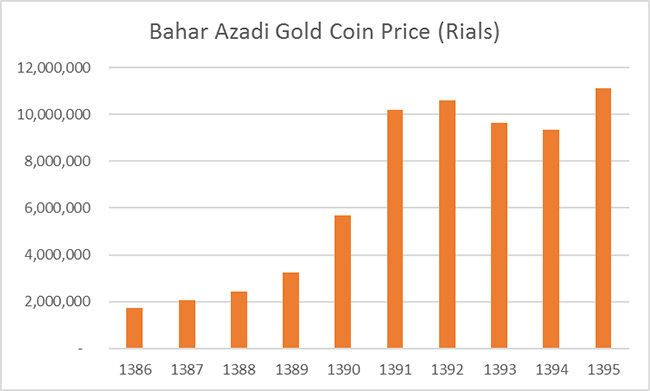 The Central Bank of Iran suggests three possible methods to resolve the problem of influx of demand to Dollar: 1) increment of interest rate by issuing certificate of deposits by the rate of 20% annually, 2) issuing currency participation bond by the rate of 4% and 4.5% for one and two years maturity respectively and the last one is 3) pre-sale of Bahar Azadi gold coins. These ways provide the government with the opportunity to ban the uptrend of USD/Rial rate. The first suggestion is interesting due to the higher return comparing to parallel markets. By this way, the demand for Dollar decrease. The second suggestion shows that CBI believes there would be capital gain based on the difference between returns on currency participation bonds and certificate of deposits. 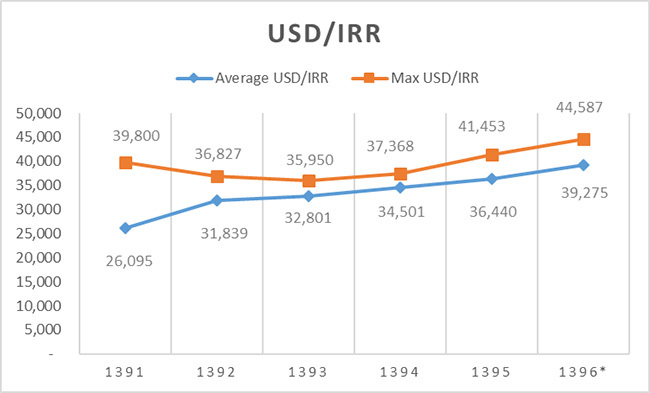 In fact, CBI believes that USD and Rial have been traded by this rate based on the difference between inflation rates in Iran and United States of America. This difference in rates which is 16% would be because of the devaluation of Rial against Dollar in future year. Currency participation bond will be calculated in maturity date based on the average of previous week traded in Sanarate website. contract. While, based on new plan the price is determined, which is 14,000,000 Rials for six-months and 13,000,000 Rials for one-year contracts that is more attractive for investors because they may benefit from probable increase in spot price. 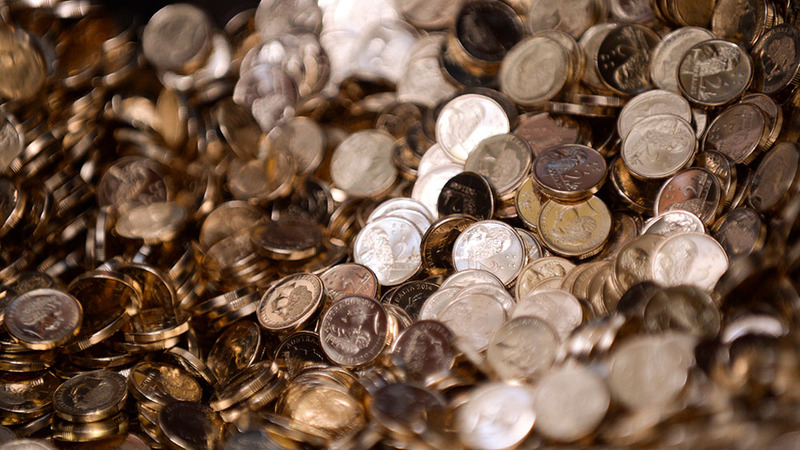 In both methods, the investors benefit from value added tax exemption. 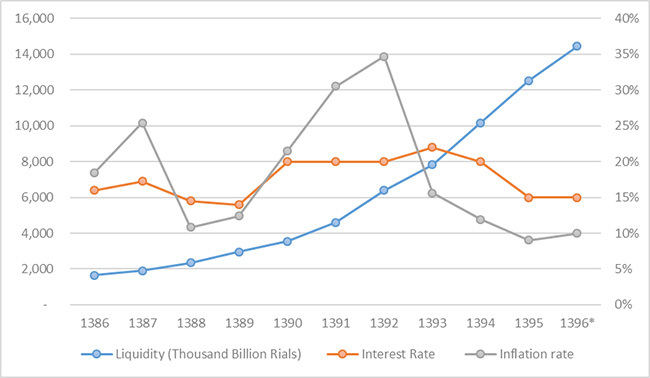 Implementing contractionary monetary policy would not be good for stock market in Iran due to flood of liquidity to certificate of deposits and currency participation bond. In recent days, this issuing has decreased demand for Islamic Treasury Bill which have been traded in the market and their prices had been decreased around 5%. It would be probable that the price of these securities will decrease till their return become comparable to new certificate deposits rate. The following table provide information about price and yield to maturity of some bonds, which are issued by Ministry of Economic Affairs and Finance and are traded in Tehran Stock Exchange. However, this plan will increase the cost of attract and retain deposits and thus it rises the financing rate in whole economy but officials believe that this temporary plan which will take only two weeks, could return stability back to the markets. 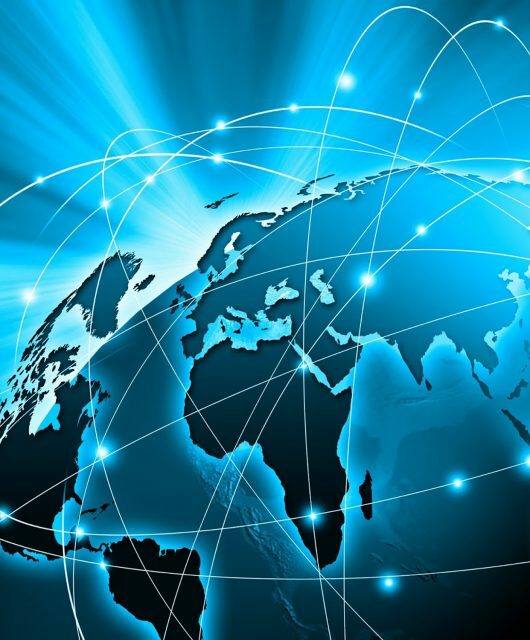 Deposits and their interests will increase liquidity more intensively in future, therefore, it is a permanent threat and economy will not be secure about similar future fluctuations. Hence, authorities should provide discretionary plan to cope with speculating in markets and lead this enormous liquidity to thriving economy.